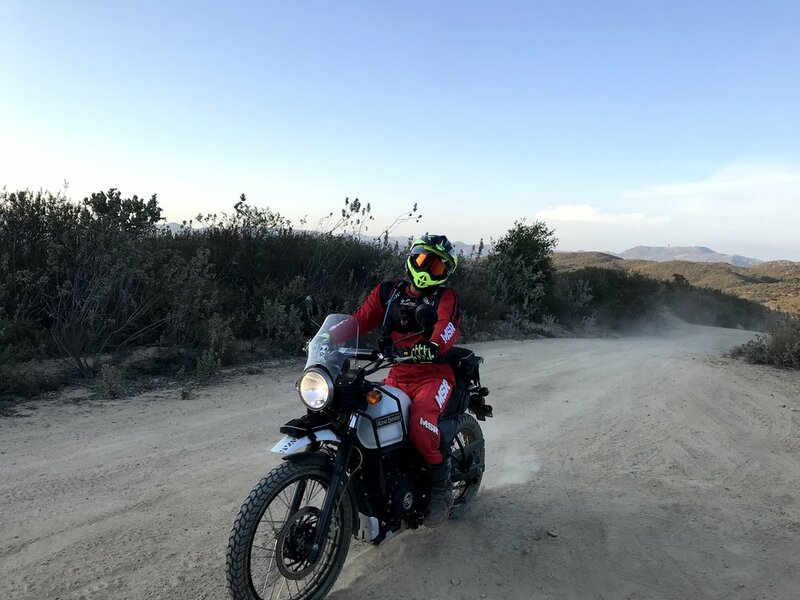 I was browsing the CSC Motorcycles blog a few days ago and came across this excellent article regarding the CSC RX3 Adventure Motorcycle. That article is called "Proven Reliability of the CSC RX3 Adventure", and you can check it out by following this link. In short, the article sums up the various rides that CSC has sponsored over the last few years spanning tens of thousands of miles, but then goes on to talk about the broader market in which the RX3 is a part of. I found this information to be very interesting and wanted to share it here, as much of this information was a deciding factor when I purchased my CSC TT250 a few years ago. Now the CSC RX3 Adventure isn't new, and neither is this information for that matter. The thing is, unless you are genuinely interested in what CSC is doing or did some research on China bikes; then this information might actually come as a surprise. The article details some of the backstory about the RX3, and how it is sold in various configurations around the world. It also talks a little bit about how the engine, which is the result of a collaboration between Piaggio and Zongshen, is specifically designed to be reliable and low maintenance. It is an interesting read, I would highly recommend you check it out if you have the chance. So why is this important if it isn't anything new? Well, if you have followed my YouTube channel for any length of time, you should know by now that I am a huge fan of inexpensive, reliable and practical motorcycles. I started this whole journey on my CSC TT250, purchasing the bike because I had a need for an inexpensive form of transportation. As I was looking for a beater car, I came across an article advertising a dual sport motorcycle for $1895 dollars; the CSC TT250. I already owned a 2014 Honda CRF250L, but something about this extremely inexpensive motorcycle just seemed to fit bill for my cheap transportation needs. That purchase slowly turned from practical commuter into genuine curiosity about how capable and reliable a $2000 dual sport motorcycle could really be. I mean, how much abuse could this thing really stand up to? If you are curious about said abuse, take a look at this playlist for all of my adventures on the CSC TT250 to see how it performed. In the end, it turned out to be a great motorcycle, and I stand by my opinion that it is a good option for anyone who has the right expectations. 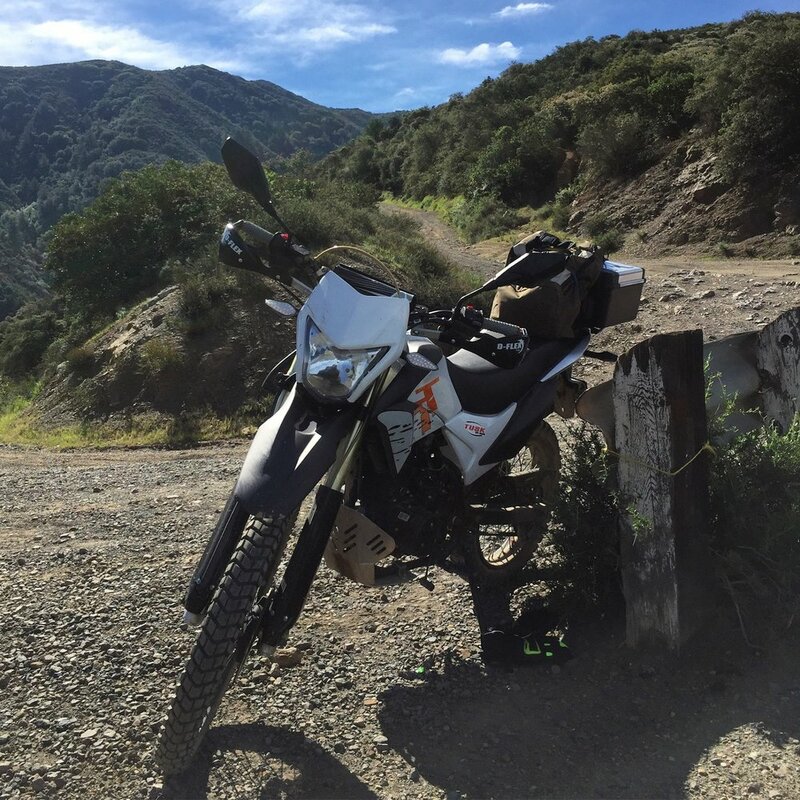 It's not a dedicated trail bike, enduro machine or motocross racer; but it is a cheap & reliable motorcycle that has the capability to get you pretty far off the beaten path if you can respect it's limitations. One of my first adventures with the CSC TT250. Before purchasing my CSC TT250, I did a LOT of research before pulling the trigger. My two main sources were the ChinaRiders.net forum and of course; the CSC Motorcycles blog. The CSC blog at the time was written by Joe Berk, who served as an engineering consultant, Zongshen liaison and public relations specialist for CSC Motorcycles. Joe has since retired, but he still is featured as a guest blogger and has started a new project called Exhaust Notes with Joe Gresh of Motorcyclist Magazine. I learned a lot of information from reading that blog. Not only did I learn about CSC Motorcycles, Zongshen, and the various bikes that CSC was importing; I also learned about the global motorcycle market the role CSC Motorcycles and Zongshen played in the grand scheme of things. At this point the RX3 Adventure had been out about a year, and the proven reliability as well as the mainly positive reviews of the bike are what made me pull the trigger on my CSC TT250. I won't go into all of the details here, but if you are curious you should definitely check out some of the older posts on the CSC blog. There is a ton of information there about all of the various CSC Motorcycles; as well as back stories, ride reports, general motorcycle content and much more. It's definitely worth checking out if you have the time. 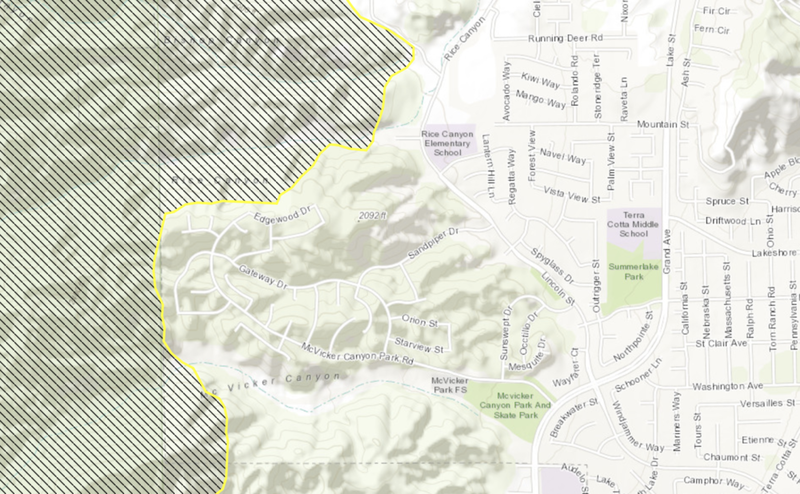 My old "commute" route through the mountains with the CSC TT250. This bike is perfect for this type of riding. Aside from the good company and the awesome riding, one of the coolest things to see is just how many different types of bikes show up each and every week. I have seen just about every kind of bike attend these rides from my Chinese made CSC TT250 to a fully tricked out BMW R 1200 GS Adventure; and it's just frickin' cool. The Himalayan is a neat little bike, and it is really one of a kind in the ADV motorcycling space. At some point, I will have a chance to test ride the Himalayan and offer up my initial thoughts and first impressions. For now though, I wanted to share this awesome video Jesse posted of the Himalayan on our most recent ride. This mix of back roads, fire roads, and the occasional technical offshoot is the type of riding we usually do on these Hump Day rides. This is also the type of riding is what the Royal Himalayan is perfect for; casual exploration with an emphasis on being being budget friendly, simple and practical. 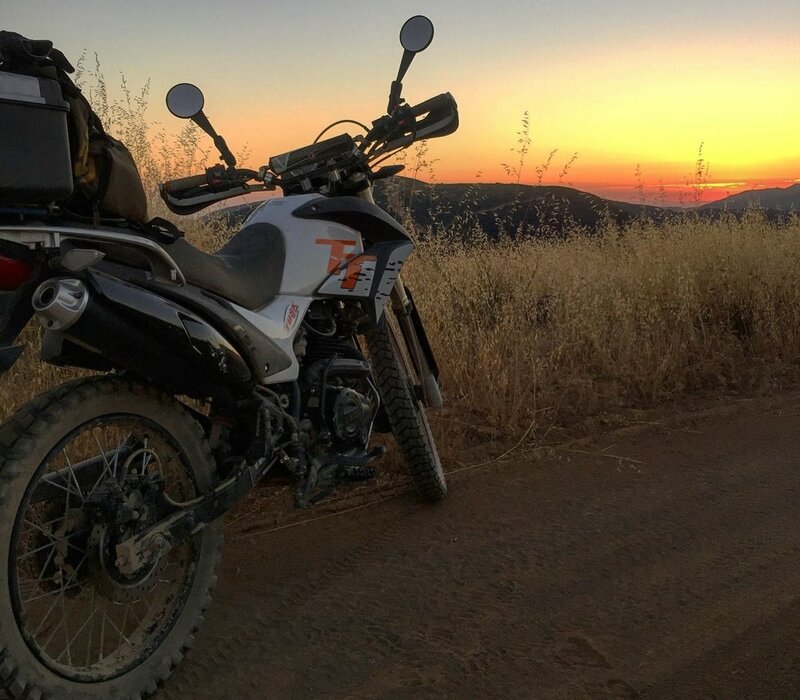 I have said it many times, but it doesn't take a big, fancy or expensive motorcycle to have an adventure; and the Himalayan is a perfect example of that. Here is the Royal Enfield Himalayan in the rough stuff. 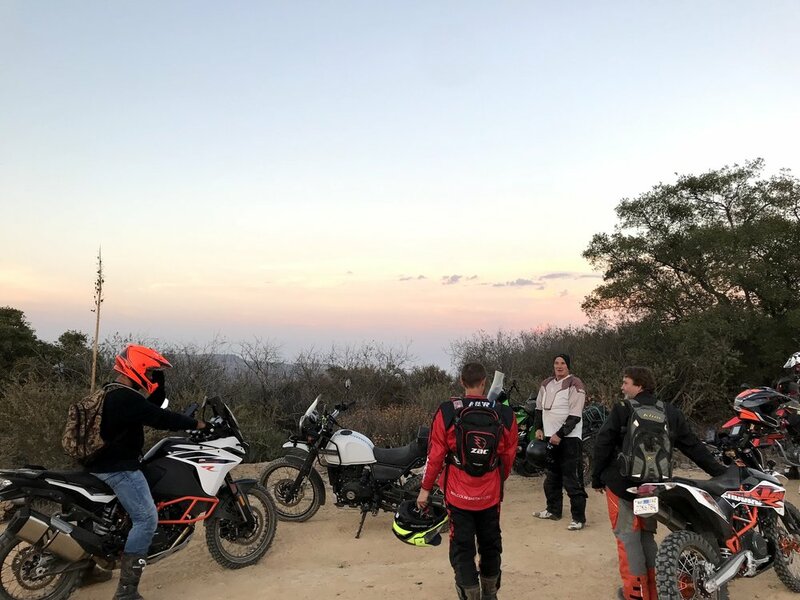 No matter what you ride, I would highly recommend checking out the Flying Monkey Adventure Riders Facebook page and joining us on an upcoming ride in the SoCal area. You will see a lot of awesome bikes, meet a lot of awesome people, and have an awesome time. Harley-Davidson lit the internet on fire yesterday with their announcement of their new Pan America adventure motorcycle. Okay, maybe it wasn't the entire internet; but for the portion of the internet that cares about adventure motorcycling and Harley-Davidson, it was a pretty big deal. I normally don't have too much interest in large adventure motorcycles. 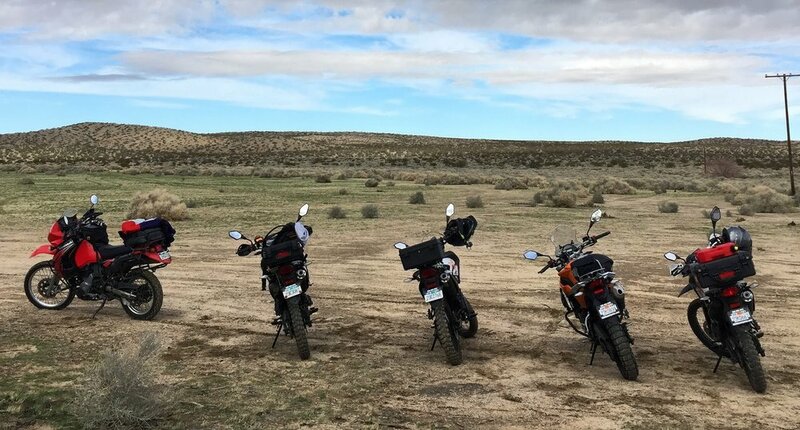 Bikes like the BMW R1200GS, KTM 1190 Adventure and Yamaha Super Tenere just seem too large and heavy for the everyday adventures that I enjoy when I go for a ride. While I definitely understand the appeal from a comfort and range perspective, the practicality of a large machine like that for riding off-road is a little lost on me. The new 1250cc Harley-Davidson will sit right up there along side the current, fairly crowded lineup of large ADV machines looking for it's own piece of the action. At this point though you really have to wonder; is the Pan America too much, too late? The Harley-Davidson Pan America definitely has distinctive and quirky ADV look. The truth is that there is an under-served niche in adventure motorcycling in the 400cc to 800cc range, and Harley-Davidson would have been much better off pursuing that niche for it’s first attempt at an ADV bike. Rather than throwing their hat straight into the ring with BMW and KTM, Harley-Davidson could have entered the market with something a bit more practical. A good example of this is would be what Royal Enfield is currently doing with the Himalayan, or what CSC Motorcycles did when it imported the RX3 Cyclone a few years ago. These are practical machines with attractive price tags, and have the appeal to attract new riders as well as existing motorcycle enthusiasts. Now I'm not an industry expert, but it seems to me like that is exactly what Harley-Davidson needs right now. The news of the Pan America did come with a mention of a "modular 500cc to 1250cc middleweight platform" that could pave the way for a smaller ADV offering from Harley-Davidson, but the fact that they went straight for the heavyweight doesn't make it seem like they have practicality in mind. Don't get me wrong, I have a lot of respect for Harley-Davidson and their contribution to the motorcycle industry at large. It is pretty impressive for a motorcycle company that was founded in 1903 to still be around and relevant today. 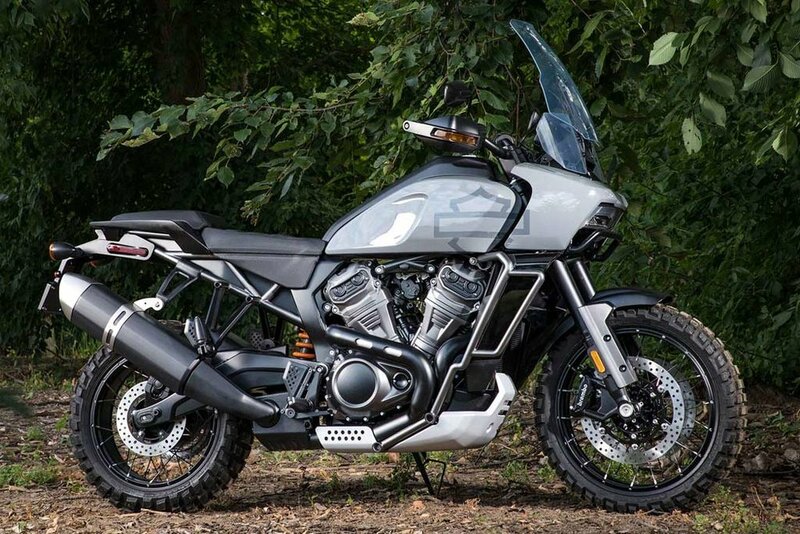 It's going to be fun to watch how Harley-Davidson's entry into the ADV segment plays out in the long run. One one hand, it is exciting to see a new entry into the world of adventure bikes that isn't coming from one of the traditional manufacturers. On the other hand, it's really hard to see the practicality of a large adventure bike like the Pan America this late in the game. Like it or hate it, it's interesting to see Harley-Davidson try and adapt to a changing motorcycle market. Time will tell if they are actually going to take this forte into ADV seriously, or if they are just playing to the success of the ADV segment in hopes that they might get lucky. The Pan America motorcycle isn't slated to hit the market until 2020, so there is still a lot that can happen between now and then. In the mean time, there are plenty of other bikes to get out and have adventures on.